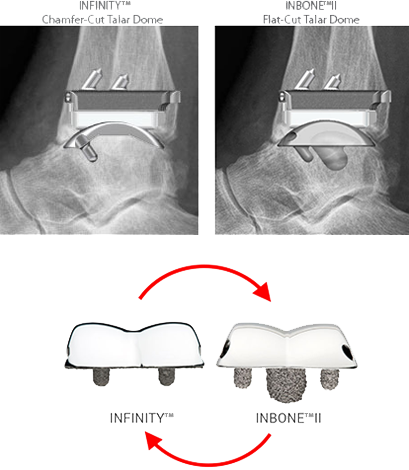 The INFINITY™ Total Ankle System consists of a highly polished metal talar dome, a titanium alloy tibial tray, and an ultra-high molecular weight polyethylene insert (UHMWPE). 1. Berlet GC, et. al. FAI 2014. The INFINITY™ tibial tray was designed with a standard resection height for all sizes (1 through 5), as well as the ability to upsize to a “long” AP size tray without requiring additional bone resection. 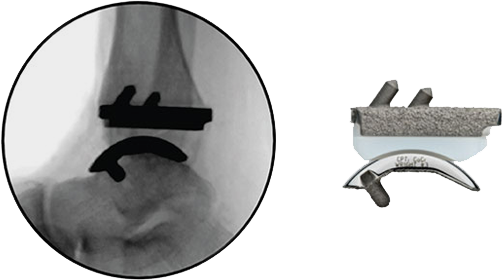 The tibial tray features 3 fixation pegs with lengths and angles optimized to facilitate anterior delivery into prepared joint space. This design allows the tibial tray to be impacted axially (not anteriorly) to help ensure proper seating and stability. The pegs are press fit into the prepared tibia to provide solid initial fixation. The INFINITY™ prosthesis was purposefully designed without tibial flanges or barrels and without talar dome side walls that would obscure fluoroscopic imaging. By allowing complete visualization of the implant interface, the surgeon can verify thorough seating of the prosthesis. This important feature also facilitates the visibility of X-rays for post-op follow up. 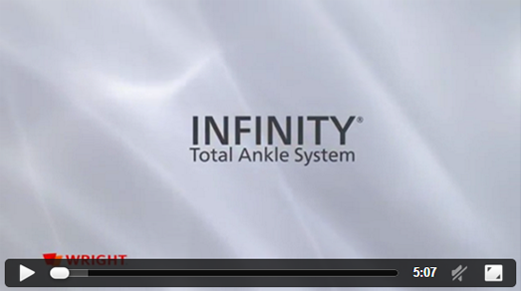 INFINITY™ features the same sulcus articular geometry as INBONE™ II. A coronally stable design that may help reduce dependency on surrounding soft tissues. Providing a talar design that is interchangeable with the INBONE™ II allows surgeon preference to dictate talar preparation option. 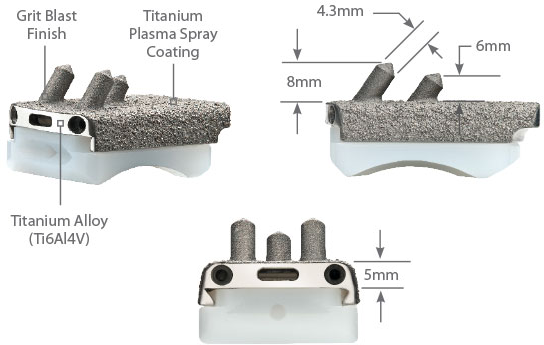 Is your surgeon looking for a resurfacing talar dome option? 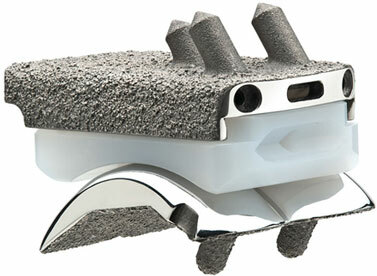 Or does your surgeon prefer the simplicity and reproducibility of a flat-cut style talus? Either way you’ve got them covered. In addition, the surgeon now has a single system with the adaptability to address varying patient anatomies when a chamfer style talar dome is not always feasible (e.g. flat-top talus).